Art With two well-equipped mixed media studios and one ceramics studio, the Bender JCC offers innovative art classes and workshops for all ages and levels of ability, including ceramics, drawing, painting, usable crafts, puppetry and much more. Visiting artists also offer festive arts workshops based on major Jewish festivals and holidays throughout the year. Contact Samantha Greenwald at 301-348-3767 or SGreenwald@benderjccgw.org to learn more. 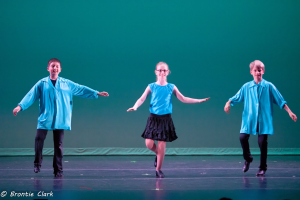 Dance The Bender JCC School of Dance offers a full and varied curriculum with instruction in all disciplines of dance for students at all levels, an excellent faculty and small class sizes, encouraging the development of talent, confidence and self-discipline through individual attention. Contact Debbie Clark at 301-348-3777 or dclark@benderjccgw.org to learn more. 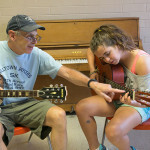 The Bender JCC School of Music offers lessons for all ages that foster a lifelong appreciation of music. For infants through age 5, the Parenting Center offers Music Together. Please note that online registration is not available for private music lessons. Please contact Samantha Greenwald directly at 301-348-3767 or SGreenwald@benderjccgw.org to learn more. Click here for music lesson rates.